Hi everyone! 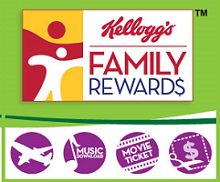 There are a couple of new Kelloggs Family Rewards Codes available and I wanted to share them with you today. I am not sure of the expiration on them so get them in today. Here they are!